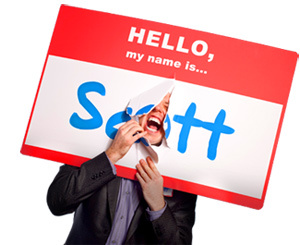 205 States of Being That Matter Most - HELLO, my name is Scott! 1. Be yourself and let the universe deal with it. 2. Be a bowl of beneficial information. 3. Be a chronicler of life. 4. Be a consistent and reliable example. 6. Be a full partner in the awakening process. 7. Be a gateway person. 8. Be a good self-advertisement. 9. Be a great asker. 10. Be a great fixer. 11. Be a light unto yourself. 12. Be a living statement. 13. Be a person of consistent character and constitution. 14. Be a person of good fortune. 16. Be a recognized innovator. 17. Be a rock people can count on. 18. Be a source of infinite opportunity. 19. Be a source of sobriety. 20. Be a strategic catalyst. 22. Be a vibrant body. 23. Be absorbed in the moment. 24. Be active in preserving and healing the environment. 25. Be actively interested and observant. 26. Be adult in your responses. 27. Be alert to opportunities that present themselves. 28. Be always guided by your body’s wisdom. 29. Be always on the lookout to have a good time. 30. Be always planting seeds for the future. 31. Be an aggregator of valuable content. 32. Be an amazing chooser. 33. Be an archaeologist of your own life. 36. Be an extemporous being. 37. Be an impulsive and compulsive finder. 38. Be an interpreter and messenger of truth. 41. Be an observer of the consequence of action. 42. Be at home with yourself. 43. Be at peace with your path. 44. Be available to any spontaneous feelings that begin to arise. 45. Be available to any ways in which you are not acting out of integrity. 46. Be aware of your bias. 47. Be aware of the time wasters in your life. 48. Be aware of your entire horizon. 49. Be beautiful to listen to. 51. Be bold in facing the inevitable. 52. Be bolder in your experimentation. 54. Be careful about the expectations you set for yourself. 55. Be careful not to display your panic. 56. Be careful not to fall in love with the idealized image of this person or else you won’t be able to hear anything bad about this person. 57. Be careful not to lapse into rationality. 58. Be careful not to put all your stock in your workplace. 59. Be careful what types of energy you participate in. 60. Be careful what you begin. 63. Be compassionate with yourself. 65. Be conscious about what you have established as expectations. 68. Be deliberately intriguing and vague with people at first. 69. Be engaged in becoming. 70. Be enormously impatient, unclouded by the shadow of scaredshitlessness. 71. Be enough now because nothing will ever make you happy in the future. 73. Be extinguished in the truth. 74. Be faithful to yourself. 75. Be famous for the people who love you and for the way you love them. 76. Be flexible in the way you view the world. 77. Be funny first then slip in your opinion. 79. Be genuinely at ease with the path you’re on. 80. Be genuinely committed to honoring reality. 81. Be good news before your share it. 82. Be high on consideration. 83. Be impressed with things that don’t count. 84. Be impressive in execution not promise. 85. Be in love with your own life. 86. Be in the business of big ideas. 87. Be in touch with your unique humanness. 88. Be insubordinate when it matters. 89. Be intentional in how you view people. 90. Be intimate with your experience. 91. Be kind to yourself when you fall short. 92. Be known by people who matter. 93. Be lamps unto yourself. 94. Be large and small enough. 95. Be meticulous in your attendance. 97. Be more receptive to the whispers. 99. Be not a model of perfection. 100. Be not an enabler of low road passage. 101. Be not anxious to be virtuous. 103. Be not distracted by your own nonsense. 104. Be not distracted from your original vision. 105. Be not divorced from essence. 106. Be not encumbered by falsehoods. 107. Be not humiliated by having others see you truly. 108. Be not impatient with reasonable delays. 109. Be not locked into limited concepts of who you are. 110. Be not managed by every event that comes along. 111. Be not overwhelmed by circumstances. 112. Be not paralyzed by your own mistakes. 113. Be not satisfied with looking just once. 114. Be not seduced by secondary successes. 115. Be not timid about your conclusions. 116. Be of path and power. 117. Be of your own sphere. 118. 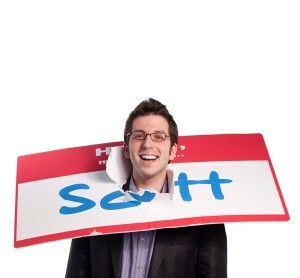 Be on the lookout for mentorship opportunities. 119. Be open to all you are. 120. Be open to discovering new dimensions of yourself. 205. Be your own devil’s advocate.